"Edgar of England" redirects here. See also Edgar the Ætheling, who was briefly proclaimed king in 1066. "Edgar I" redirects here. See also Edgar, King of Scotland. A contemporary portrayal of King Edgar in the New Minster Charter. Edgar (Old English: Ēadgār, [æːɑdɣɑːr]; c. 943—8 July 975), known as the Peaceful or the Peaceable, was King of England from 959 until his death. He was the younger son of Edmund I and Ælfgifu of Shaftesbury, and came to the throne as a teenager, following the death of his older brother Eadwig. As king, Edgar further consolidated the political unity achieved by his predecessors, with his reign being noted for its relative stability. His most trusted advisor was Dunstan, whom he recalled from exile and made Archbishop of Canterbury. The pinnacle of Edgar's reign was his coronation at Bath in 973, which was organised by Dunstan and forms the basis for the current coronation ceremony. 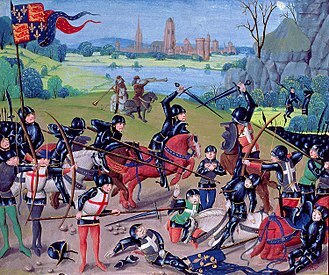 After his death he was succeeded by his son Edward, although the succession was disputed. Edgar was the son of Edmund I and Ælfgifu of Shaftesbury. 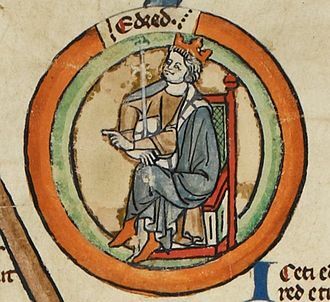 Upon the death of King Edmund in 946, Edgar's uncle, Eadred, ruled until 955. 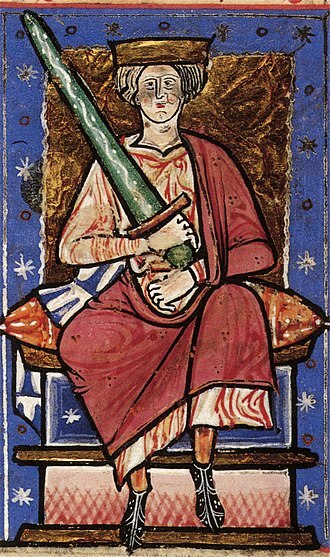 Eadred was succeeded by his nephew, Eadwig, Edmund's eldest son. Eadwig was not a popular king, and his reign was marked by conflict with nobles and the Church, primarily St Dunstan and Archbishop Oda. In 957, the thanes of Mercia and Northumbria changed their allegiance to Edgar. A conclave of nobles declared Edgar as king of the territory north of the Thames. Edgar became King of England upon Eadwig's death in October 959, aged just 16. 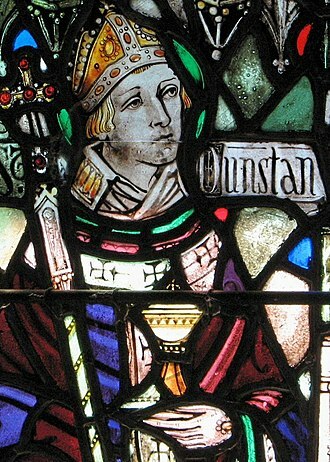 One of Edgar's first actions was to recall Dunstan from exile and have him made Bishop of Worcester (and subsequently Bishop of London and later, Archbishop of Canterbury). Dunstan remained Edgar's advisor throughout his reign. While Edgar may not have been a particularly peaceable man, his reign was peaceful. 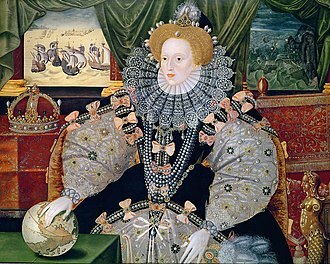 The Kingdom of England was well established, and Edgar consolidated the political unity achieved by his predecessors. By the end of his reign, England was sufficiently unified in that it was unlikely to regress back to a state of division among rival kingships, as it had to an extent under the reign of Eadred. 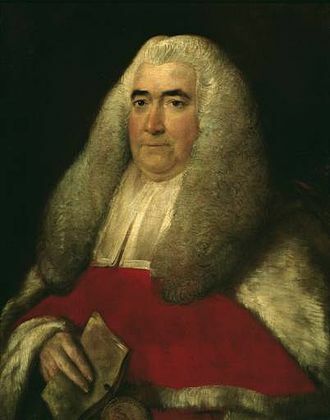 William Blackstone mentions that King Edgar standardised measure throughout the realm. 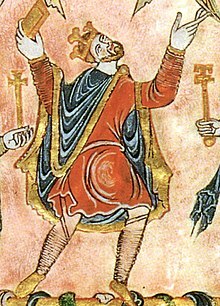 According to George Molyneaux, Edgar's reign, "far more than the reigns of either Alfred or Æthelstan, was probably the most pivotal phase in the development of the institutional structures that were fundamental to royal rule in the eleventh-century kingdom". Indeed, an early eleventh century king Cnut the Great states in a letter to his subjects that ''it is my will that all the nation, ecclesiastical and lay, shall steadfastly observe Edgar's laws, which all men have chosen and sworn at Oxford''. A coin of Edgar, struck in Winchcombe in Gloucestershire (c. 973-75). The Monastic Reform Movement that introduced the Benedictine Rule to England's monastic communities peaked during the era of Dunstan, Æthelwold, and Oswald (historians continue to debate the extent and significance of this movement). In 963, Edgar allegedly killed Earl Æthelwald, his rival in love, near present-day Longparish, Hampshire. The event was commemorated by the Dead Man's Plack, erected in 1825. In 1875, Edward Augustus Freeman debunked the story as a "tissue of romance" in his book, Historic Essays; however, his arguments were rebutted by naturalist William Henry Hudson in his 1920 book Dead Man's Plack and an Old Thorn. Edgar was crowned at Bath and along with his wife Ælfthryth was anointed, setting a precedent for a coronation of a queen in England itself. Edgar's coronation did not happen until 973, in an imperial ceremony planned not as the initiation, but as the culmination of his reign (a move that must have taken a great deal of preliminary diplomacy). This service, devised by Dunstan himself and celebrated with a poem in the Anglo-Saxon Chronicle, forms the basis of the present-day British coronation ceremony. The symbolic coronation was an important step; other kings of Britain came and gave their allegiance to Edgar shortly afterwards at Chester. Six kings in Britain, including the King of Scots and the King of Strathclyde, pledged their faith that they would be the king's liege-men on sea and land. Later chroniclers made the kings into eight, all plying the oars of Edgar's state barge on the River Dee. Such embellishments may not be factual, and what actually happened is unclear. Edgar died on 8 July 975 at Winchester, Hampshire. He was buried at Glastonbury Abbey. He left behind Edward, who was probably his illegitimate son by Æthelflæd (not to be confused with the Lady of the Mercians), and Æthelred, the younger, the child of his wife Ælfthryth. He was succeeded by Edward. Edgar also had a possibly illegitimate daughter by Wulfthryth, who later became abbess of Wilton. She was joined there by her daughter, Edith of Wilton, who lived there as a nun until her death. Both women were later regarded as saints. "[H]e was extremely small both in stature and bulk..."
^ a b Hudson, William Henry (1920). Dead Man's Plack and an Old Thorn. ^ Molyneaux, George (2015). The Formation of the English Kingdom in the Tenth Century. Oxford, UK: Oxford University Press. p. 193. ISBN 978-0-19-871791-1. ^ Lehmberg, Stanford (2013). A History of the Peoples of the British Isles: From Prehistoric Times to 1688. Routledge. p. 29. ISBN 1134415281. ^ a b "Deadman's Plack Monument - Longparish - Hampshire - England". British Listed Buildings. Retrieved 8 September 2011. ^ Freeman, Edward Augustus (1875). Historic Essays. MacMillan & Co. pp. 10–25. ^ Honeycutt, Lois (2003). Matilda of Scotland: a Study in Medieval Queenship. Woodbridge: The Boydell Press. p. 35. ^ Huscroft, R (2013). The Norman Conquest: A New Introduction. Routledge. p. 21. ISBN 1317866274. Keynes, Simon. "England, c. 900–1016." In The New Cambridge Medieval History III. c.900–c.1024, ed. Timothy Reuter. Cambridge: Cambridge University Press, 1999. 456-84. Rex, Peter (2007). Edgar, King of the English 959-75. Stroud, Gloucestershire: Tempus. Scragg, Donald (ed.). Edgar, King of the English, 959–975: New Interpretations. Publications of the Manchester Centre for Anglo-Saxon Studies. Manchester: Boydell Press, 2008. ISBN 1-84383-399-9. Contents (external link). Sobecki, Sebastian. "Edgar's Archipelago." In The Sea and Englishness in the Middle Ages: Maritime Narratives, Identity and Culture, ed. Sobecki. Cambridge: Brewer, 2011. 1-30. Oswald of Worcester was Archbishop of York from 972 to his death in 992. He was of Danish ancestry, but brought up by his uncle, after a number of years at Fleury, Oswald returned to England at the request of his uncle, who died before Oswald returned. With his uncles death, Oswald needed a patron and turned to another kinsman and his activity for Oskytel attracted the notice of Archbishop Dunstan who had Oswald consecrated as Bishop of Worcester in 961. In 972, Oswald was promoted to the see of York, as bishop and archbishop, Oswald was a supporter and one of the leading promoters of Dunstans reforms of the church, including monastic reforms. Oswald founded a number of monasteries, including Ramsey Abbey, and reformed other seven, including Winchcombe in Gloucestershire and Pershore, Oswald switched the cathedral chapter of Worcester from secular clergy to monks. While archbishop, he brought the scholar Abbo of Fleury to teach, Oswald died in 992, while washing the feet of the poor. A hagiographical life was shortly after his death, and he was quickly hailed as a saint. Oswald, of Danish parentage, was brought up by his uncle Oda, Archbishop of Canterbury and he was related to the cniht Osulf, who received land while Oswald was bishop of Worcester. 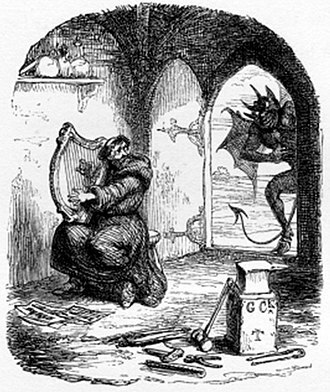 Oswald was instructed by a Frankish scholar Frithegod and he held the office of dean of Winchester, but he was sent by his uncle to France and entered the monastery of Fleury about 950, where he was ordained in 959. 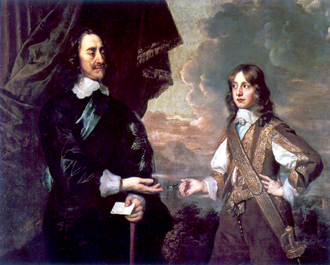 While at Fleury he met Osgar of Abingdon and Germanus of Winchester, the influence of Fleury was to be evident in Oswalds life, when it was one of the inspirations for the Regularis Concordia, the English code of monastic conduct agreed to in 970. Oswald returned to England in 958 at the behest of his uncle, lacking a patron, Oswald turned to Oskytel, recently named Archbishop of York. It is possible that Oswald along with Oskytel travelled to Rome for Oskytels pallium, even if he did not travel to Rome, Oswald was active in ecclesiastical affairs at York until Dunstan obtained Oswalds appointment to the see, or bishopric, of Worcester. Edgar or Étgar mac Maíl Choluim, nicknamed Probus, the Valiant, was king of Scotland from 1097 to 1107. He was the son of Malcolm III and Margaret of Wessex. Edgar claimed the kingship in early 1095, following the murder of his half-brother Duncan II in late 1094 by Máel Petair of Mearns and his older brother Edmund sided with Donald, presumably in return for an appanage and acknowledgement as the heir of the ageing and son-less Donald. Rufus campaigned in northern England for much of 1095, and during this time Edgar gained control only of Lothian, a charter issued at Durham at this time names him. Son of Máel Coluim King of Scots, possessing the whole land of Lothian and the kingship of the Scots by the gift of my lord William, king of the English, and by paternal heritage. In any event, he did attend the court on occasion, on 29 May 1099, for example, Edgar served as sword-bearer at the great feast to inaugurate Westminster Hall. After William Rufuss death, Edgar ceased to appear at the English court, with Donald and Edmund removed, Edgar was uncontested king of Scots, and his reign incurred no major crisis. Compared with his rise to power, Edgars reign is obscure, one notable act was his gift of a camel, presumably a souvenir of the First Crusade, to his fellow Gael Muircheartach Ua Briain, High King of Ireland. In 1098, Edgar signed a treaty with Magnus Barefoot, King of Norway, by ceding claims to the Hebrides and Kintyre to Magnus, Edgar acknowledged the practical realities of the existing situation. Edgars religious foundations included a priory at Coldingham in 1098, associated with the Convent of Durham, at Dunfermline Abbey he sought support from Anselm of Canterbury with his mothers foundation from which the monks of Canterbury may have been expelled by Domnall Bán. Edgar died in Edinburgh on 8 January 1107 and was buried at Dunfermline Abbey and childless, he acknowledged his brother Alexander as his successor. Edgars will granted David an appanage in Cumbria, and perhaps in parts of Lothian. David would be known as Prince of the Cumbrians There is an account of his death. According to this account, Edgar was killed by his uncle Donald III and this account reports, On the death of Malcolm, king of the Scots, great divisions rose among them, in reference to the succession to the crown. The Bishop of London is the ordinary of the Church of England Diocese of London in the Province of Canterbury. The diocese covers 458 km² of 17 boroughs of Greater London north of the River Thames and a small part of the County of Surrey. The see is in the City of London where the seat is located at the Cathedral Church of Saint Paul which was founded as a cathedral in 604 and was rebuilt from 1675 following the Great Fire of London. The bishops residence is The Old Deanery, Deans Court, previously, for over 1000 years, Fulham Palace was the residence although, from the 18th century, London House next to the Bishops Chapel in Aldersgate Street was where he had his chambers. The current and 132nd Bishop of London is Richard Chartres, who was installed on 26 January 1996 and it has been announced that Chartres is to retire effective Shrove Tuesday,28 February 2017. The diocesan bishop of London has had direct episcopal oversight in the Two Cities area since the institution of the London area scheme in 1979, according to sources, there had been 16 Romano-British bishops of London. The Rule of Saint Benedict is a book of precepts written by Benedict of Nursia for monks living communally under the authority of an abbot. The spirit of Saint Benedicts Rule is summed up in the motto of the Benedictine Confederation, compared to other precepts, the Rule provides a moderate path between individual zeal and formulaic institutionalism, because of this middle ground it has been widely popular. The Rule of Saint Benedict has been used by Benedictines for fifteen centuries and his Rule was written as a guide for individual, autonomous communities, and to this day all Benedictine Houses remain self-governing. Advantages seen in retaining this unique Benedictine emphasis on autonomy include cultivating models of tightly bonded communities, perceived disadvantages comprise geographical isolation from important activities in adjacent communities. Other perceived losses include inefficiency and lack of mobility in the service of others, Christian monasticism first appeared in the Eastern Roman Empire a few generations before Benedict of Nursia, in the Egyptian desert. Within a generation, both solitary and communal monasticism became very popular and spread outside of Egypt, first to Palestine, Saint Basil of Caesarea codified the precepts for these eastern monasteries in his Ascetic Rule, or Ascetica, which is still used today in the Eastern Orthodox Church. In time, setting an example with his zeal, he began to attract disciples, after considerable initial struggles with his first community at Subiaco, he eventually founded the monastery of Monte Cassino in 529, where he wrote his Rule near the end of his life. In chapter 73, Saint Benedict commends the Rule of Saint Basil and he was probably aware of the Rule written by Pachomius, and his Rule shows influence by the Rule of St Augustine of Hippo and the writings of Saint John Cassian. Chapter 3 ordains the calling of the brothers to council upon all affairs of importance to the community, Chapter 4 lists 73 tools for good work, tools of the spiritual craft for the workshop that is the enclosure of the monastery and the stability in the community. These are essentially the duties of every Christian and are mainly Scriptural either in letter or in spirit, Chapter 5 prescribes prompt and absolute obedience to the superior in all things lawful, unhesitating obedience being called the first degree, or step, of humility. Chapter 6 recommends moderation in the use of speech, but does not enjoin strict silence, chapters 8-19 regulate the Divine Office, the Godly work to which nothing is to be preferred, namely the eight canonical hours. Detailed arrangements are made for the number of Psalms, etc. to be recited in winter and summer, on Sundays, Holy Days, Chapter 19 emphasizes the reverence owed to the omnipresent God. Chapter 20 directs that prayer be made with heartfelt compunction rather than many words and it should be prolonged only under the inspiration of divine grace, and in community always kept short and terminated at a sign from the superior. Chapter 21 regulates the appointment of a Dean over every ten monks, each monk is to have a separate bed and is to sleep in his habit, so as to be ready to rise without delay, a light shall burn in the dormitory throughout the night. Edward the Martyr was King of England from 975 until he was murdered in 978. Edward was the eldest son of King Edgar the Peaceful but was not his fathers acknowledged heir, Edward was chosen as king and was crowned by his main clerical supporters, the archbishops Dunstan and Oswald of Worcester. The great nobles of the kingdom, ealdormen Ælfhere and Æthelwine, Edwards short reign was brought to an end by his murder at Corfe Castle in 978 in circumstances that are not altogether clear. His body was reburied with great ceremony at Shaftesbury Abbey early in 979, in 1001 Edwards remains were moved to a more prominent place in the abbey, probably with the blessing of his half-brother King Æthelred. Edward was already reckoned a saint by this time, a number of lives of Edward were written in the centuries following his death in which he was portrayed as a martyr, generally seen as a victim of the Queen Dowager Ælfthryth, mother of Æthelred. He is today recognized as a saint in the Eastern Orthodox Church, the Roman Catholic Church, Edwards date of birth is unknown, but he was the eldest of Edgars three children. 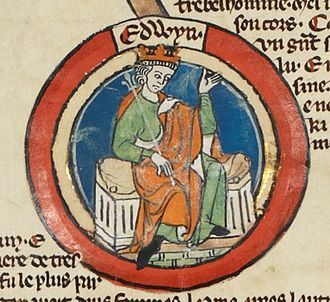 He was likely in his teens when he succeeded his father, Edward was known to be King Edgars son, but he was not the son of Queen Ælfthryth, the third wife of Edgar. This much and no more is known from contemporary charters, sources of questionable reliability address the identity of Edwards mother. 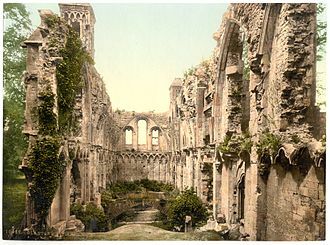 The earliest such source is a life of Dunstan by Osbern of Canterbury, Osbern writes that Edwards mother was a nun at Wilton Abbey whom the king seduced. When Eadmer wrote a life of Dunstan some decades later, he included an account of Edwards parentage obtained from Nicholas of Worcester. 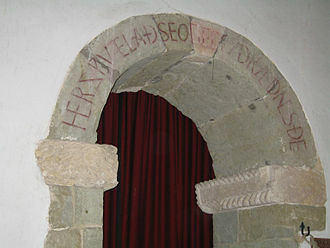 Additional accounts are offered by Goscelin in his life of Edgars daughter Saint Edith of Wilton and in the histories of John of Worcester, together these various accounts suggest that Edwards mother was probably a noblewoman named Æthelflæd, surnamed Candida or Eneda—the White or White Duck. A charter of 966 describes Ælfthryth, whom Edgar had married in 964, as the lawful wife. Edward is noted as the kings son, Ælfthryth was the widow of Æthelwald, Ealdorman of East Anglia and perhaps Edgars third wife. 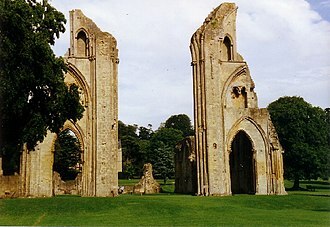 Glastonbury Abbey was a monastery in Glastonbury, England. Its ruins, a grade I listed building and scheduled ancient monument, are open as a visitor attraction, the abbey was founded in the 7th century and enlarged in the 10th. It was destroyed by a fire in 1184, but subsequently rebuilt. 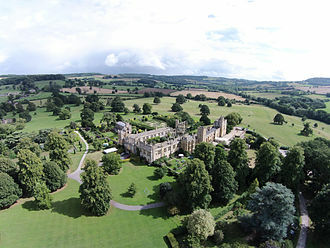 The abbey controlled large tracts of the land and was instrumental in major drainage projects on the Somerset Levels. The abbey was suppressed during the Dissolution of the Monasteries under King Henry VIII of England, the last abbot, Richard Whiting, was hanged and quartered as a traitor on Glastonbury Tor in 1539. From at least the 12th century the Glastonbury area has been associated with the legend of King Arthur, Christian legends have claimed that the abbey was founded by Joseph of Arimathea in the 1st century. In 1955 Ralegh Radfords excavations uncovered Romano-British pottery at the west end of the cloister, the abbey was founded by Britons and dates at least to the early-7th century. Dark Age occupation of the site is evidenced by pieces of wine jars that were imported from the Mediterranean. A medieval Christian legend claimed that the abbey was founded by Joseph of Arimathea in the 1st century and this fanciful legend is intimately tied to Robert de Borons version of the Holy Grail story and Glastonburys connection with King Arthur from the early-12th century. Glastonbury fell into Saxon hands after the Battle of Peonnum in 658, saxons under Cenwalh of Wessex conquered Somerset as far west as the River Parrett, perhaps with the intention of gaining control of the abbey. Cenwalh allowed the British abbot, Bregored, to remain in power, after Bregoreds death in 669, he was replaced by an Anglo-Saxon, but British monks remained for many years. A glassworks was established at the site during the 7th century, Glastonbury was ravaged by the Danes in the 9th century. The contemporary reformed soldier Saint Neot was sacristan at Glastonbury before he founded his own establishment in Somerset, Dunstan became Archbishop of Canterbury in 960. In 967, King Edmund was interred at Glastonbury, in 1016 Edmund Ironside, who had lost England to Canute but held onto the title of King of Wessex, was buried there. Eadwig, spelled Edwy, usually called the All-Fair, was King of England from 955 until his premature death in 959. The elder son of King Edmund I and his Queen Ælfgifu of Shaftesbury, Eadwigs short reign was tarnished by disputes with nobles and men of the church, including Dunstan and Archbishop Oda. Eadwig died in 959, having ruled less than four years and he was buried in the capital Winchester. His brother Edgar the Peaceful succeeded him, according to one legend, the feud with Dunstan began on the day of Eadwigs consecration, when he failed to attend a meeting of nobles. When Dunstan eventually found the young monarch, he was cavorting with a noblewoman named Æthelgifu, infuriated by this, Dunstan dragged Eadwig back and forced him to renounce the girl as a strumpet. Later realizing that he had provoked the king, Dunstan fled to the apparent sanctuary of his cloister, though Dunstan managed to escape, he refused to return to England until after Eadwigs death. The contemporary record of the Anglo-Saxon Chronicle reports Eadwigs accession and Dunstan fleeing England, the cavorting in question consisted of Eadwig being away from the feast with Ælfgifu and her mother Æthelgifu. 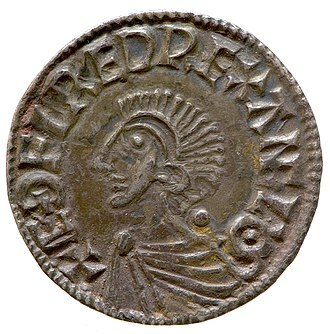 He married Ælfgifu, who seems to have been the sister of Æthelweard the Chronicler, Æthelweard describes himself as the grandsons grandson of King Æthelred I. Eadwig was the son of King Edmund the Magnificent, grandson of King Edward the Elder, great-grandson of King Alfred the Great, Eadwig and Ælfgifu were therefore third cousins once removed. The annulment of the marriage of Eadwig and Ælfgifu is unusual in that it was against their will, the Church at the time regarded any union within seven degrees of consanguinity as incestuous. At the time, degree was reached by counting up to the ancestor and back. 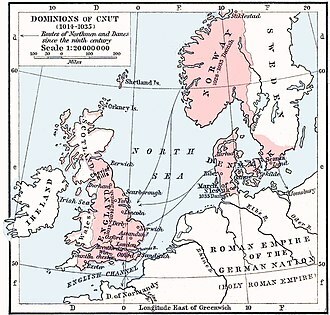 Dunstan, whilst in exile, became influenced by the Benedictines of Flanders, a pro-Dunstan, pro-Benedictine party began to form around Athelstan Half-Kings domain of East Anglia and supporting Eadwigs younger brother Edgar. Frustrated by the impositions and supported by Archbishop Oda of Canterbury. In 957, rather than see the country descend into civil war, Eadwig is known for his remarkable generosity in giving away land. Winchcombe is a Cotswold town in the local authority district of Tewkesbury, in Gloucestershire, England. Its population according to the 2011 census was 4,538, the Belas Knap Neolithic long barrow on a hilltop above Winchcombe, was constructed from about 3000 BC. Later, during Anglo-Saxon times, Winchcombe was a city of Mercia favoured by Coenwulf. Subsequently, during the 11th century, the town was briefly the county town of Winchcombeshire, the Anglo-Saxon saint St. Kenelm is believed to be buried in the town. 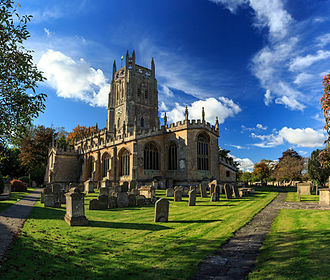 It has been suggested however, that it was to the south of St Peters Church, in the Restoration period, Winchcombe was noted for cattle rustling and other lawlessness, caused in part by poverty. In an attempt to earn a living, local people grew tobacco as a cash crop, soldiers were sent in on at least one occasion to destroy the illegal crop. There is nothing left of the now-vanished Winchcombe Abbey, St Peters Church in the centre of the town is noted for its grotesques. The Michelin star restaurant 5 North Street is in Winchcombe, Winchcombe sits on six long-distance footpaths, The Cotswold Way, the Gloucestershire Way, the Wychavon Way, St Kenelms Trail, St Kenelms Way, the Wardens Way and the Windrush Way. A dynasty is a sequence of rulers from the same family, usually in the context of a feudal or monarchical system but sometimes appearing in elective republics. The dynastic family or lineage may be known as a house, historians periodize the histories of many sovereign states, such as Ancient Egypt, the Carolingian Empire and Imperial China, using a framework of successive dynasties. As such, the dynasty may be used to delimit the era during which the family reigned and to describe events, trends. The word dynasty itself is often dropped from such adjectival references, until the 19th century, it was taken for granted that a legitimate function of a monarch was to aggrandize his dynasty, that is, to increase the territory and power of his family members. The longest-surviving dynasty in the world is the Imperial House of Japan, dynasties throughout the world have traditionally been reckoned patrilineally, such as under the Frankish Salic law. Succession through a daughter when permitted was considered to establish a new dynasty in her husbands ruling house, some states in Africa, determined descent matrilineally, while rulers have at other times adopted the name of their mothers dynasty when coming into her inheritance. It is extended to unrelated people such as poets of the same school or various rosters of a single sports team. The word dynasty derives via Latin dynastia from Greek dynastéia, where it referred to power, dominion and it was the abstract noun of dynástēs, the agent noun of dynamis, power or ability, from dýnamai, to be able. A ruler in a dynasty is referred to as a dynast. For example, following his abdication, Edward VIII of the United Kingdom ceased to be a member of the House of Windsor. A dynastic marriage is one that complies with monarchical house law restrictions, the marriage of Willem-Alexander, Prince of Orange, to Máxima Zorreguieta in 2002 was dynastic, for example, and their eldest child is expected to inherit the Dutch crown eventually. But the marriage of his younger brother Prince Friso to Mabel Wisse Smit in 2003 lacked government support, thus Friso forfeited his place in the order of succession, lost his title as a Prince of the Netherlands, and left his children without dynastic rights. Edward Augustus Freeman was an English historian, architectural artist, liberal politician during the late-19th-century heyday of William Gladstone, and a one-time candidate for Parliament. After the marriage of his daughter Margaret to Evans, he and he was a prolific writer, publishing 239 distinct works. One of his best known is his magnum opus, the 6-volume The History of the Norman Conquest of England, both he and Margaret died before Evans purchased the land from which he would excavate the Palace of Knossos. Freeman was born at Metchley Abbey in Harborne, now a suburb of Birmingham and his parents, John Freeman and Mary Ann, used the Latin name of the month in which he was born as his middle name. They were a family of modest means, the grandfather, Joseph Freeman, had been a wealthy man. On his death, his will was disputed, and lawyers fees consumed the bulk of the estate, edwards father, the oldest son, and his two paternal uncles and Joseph, received little to sustain them. Mary Annes family still displayed the coat-of-arms given to them, the family was never in good health. They delayed baptising Edward for a year, hoping to avoid exposure to contagious diseases. Emma died in 1826 when Edward was three years old, Freeman was educated at private schools and by a private tutor. Even as a boy, he was interested in matters, history. He won a scholarship to Trinity College, and a class in the degree examination. While at Oxford he was influenced by the High Church movement, and thought seriously of taking orders. He married Eleanor Gutch daughter of his tutor, the Reverend Robert Gutch, on 13 April 1847 at Segrave, England. He lived in Llanrumney Hall, Cardiff in the mid 19th century, Freeman bought a house called Somerleaze, near Wells and settled there in 1860. From 1886 Freeman was forced by ill health to spend much of his time abroad, in February 1892 he visited Spain in company with his wife and two younger daughters. He fell ill at Valencia on 7 March, but on the 9th went on to Alicante and he died at Alicante on the 16th, and was buried in the Protestant cemetery there. Winchester is a city and the county town of Hampshire, England. The city lies at the heart of the wider City of Winchester, a government district. It is situated 61 miles south-west of London and 13.6 miles from Southampton, at the time of the 2011 Census, Winchester had a population of 45,184. The wider City of Winchester district which includes such as Alresford. Winchester developed from the Roman town of Venta Belgarum, which in turn developed from an Iron Age oppidum. Winchesters major landmark is Winchester Cathedral, one of the largest cathedrals in Europe, with the distinction of having the longest nave and overall length of all Gothic cathedrals in Europe. The city is home to the University of Winchester and Winchester College, the area around Winchester has been inhabited since prehistoric times, with three Iron Age hillforts, Orams Arbour, St. Catherines Hill, and Worthy Down all in the nearby vicinity. In the Late Iron Age, an urban settlement type developed, known as an oppidum. It was overrun by the confederation of Gaulish tribes known as the Belgae sometime during the first century BCE and it seems to have been known as Wentā or Venta, from the Brittonic for town or meeting place. After the Roman conquest of Britain, the settlement served as the capital of the Belgae and was distinguished as Venta Belgarum, Venta of the Belgae. Although in the years of the Roman province it was of subsidiary importance to Silchester and Chichester. At the beginning of the century, Winchester was given protective stone walls. At around this time the city covered an area of 144 acres, there was a limited suburban area outside the walls. Like many other Roman towns however, Winchester began to decline in the fourth century. Ford identifies the community as the Cair Guinntguic listed by Nennius among the 28 cities of Britain in his History of the Britains, amid the Saxon invasions of Britain, cemeteries dating to the 6th and 7th centuries suggest a revival of settlement. The city became known as Wintan-ceastre in Old English, in 648, King Cenwalh of Wessex erected the Church of SS Peter and Paul, known as the Old Minster. This became a cathedral in the 660s when the West Saxon bishopric was transferred from Dorchester-on-Thames, the citys first mint appears to date from this period. 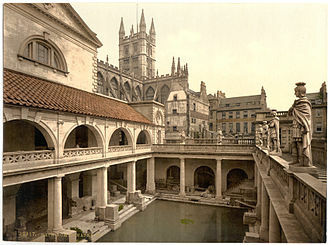 Bath is a city in the ceremonial county of Somerset, known for its Roman-built baths. In 2011, the population was 88,859, Bath is in the valley of the River Avon,97 miles west of London and 11 miles south-east of Bristol. The city became a World Heritage Site in 1987, the city became a spa with the Latin name Aquæ Sulis c. AD60 when the Romans built baths and a temple in the valley of the River Avon, Bath Abbey was founded in the 7th century and became a religious centre, the building was rebuilt in the 12th and 16th centuries. In the 17th century, claims were made for the properties of water from the springs. 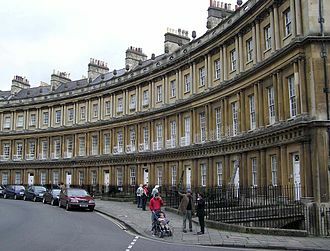 Many of the streets and squares were laid out by John Wood, the Elder, and in the 18th century the city became fashionable, Jane Austen lived in Bath in the early 19th century. Further building was undertaken in the 19th century and following the Bath Blitz in World War II, the city has software and service-oriented industries. Theatres and other cultural and sporting venues have helped make it a centre for tourism with more than one million staying visitors and 3.8 million day visitors to the city each year. There are several museums including the Museum of Bath Architecture, Victoria Art Gallery, Museum of East Asian Art, the city has two universities, the University of Bath and Bath Spa University, with Bath College providing further education. Sporting clubs include Bath Rugby and Bath City F. C. while TeamBath is the name for all of the University of Bath sports teams. 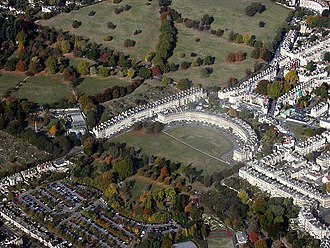 Bath became part of the county of Avon in 1974, the hills in the locality such as Bathampton Down saw human activity from the Mesolithic period. Several Bronze Age round barrows were opened by John Skinner in the 18th century, solsbury Hill overlooking the current city was an Iron Age hill fort, and the adjacent Bathampton Camp may have been one. A long barrow site believed to be from the Beaker people was flattened to make way for RAF Charmy Down, messages to her scratched onto metal, known as curse tablets, have been recovered from the sacred spring by archaeologists. The tablets were written in Latin, and cursed people whom the writers felt had wronged them, for example, if a citizen had his clothes stolen at the baths, he might write a curse, naming the suspects, on a tablet to be read by the goddess. A temple was constructed in AD 60–70, and a complex was built up over the next 300 years. Coronation of Harold II of England at Westminster Abbey in 1066. From the Bayeux Tapestry. The title page of the first edition of Blackstone's The Great Charter and Charter of the Forest (1759) The signature of William Henry Lyttelton, 3rd Baron Lyttelton (1782–1837), an English Whig politician, appears at the top of the page in this copy of the book. 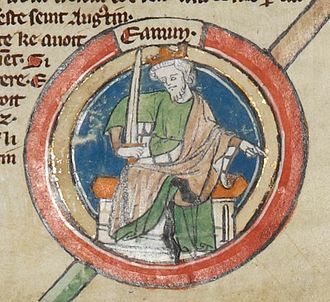 Depiction of Edmund I as it appears on folio 2r of British Library Royal 14 B VI. An early twentieth-century depiction of Edgar being rowed down the River Dee by eight kings. According to the Anglo-Saxon Chronicle, Edgar met six kings at Chester. By the twelfth century, chroniclers alleged that eight kings rowed Edgar down the river in an act of submission. One of these eight was Máel Coluim himself. Only three rulers of the Kingdom of Strathclyde were styled King of the Cumbrians: Máel Coluim himself, Máel Coluim's father, and Máel Coluim's grandfather, Owain ap Dyfnwal. Pontcysyllte Aqueduct carrying the Llangollen Canal over the River Dee. Near contemporary drawing of Edith. 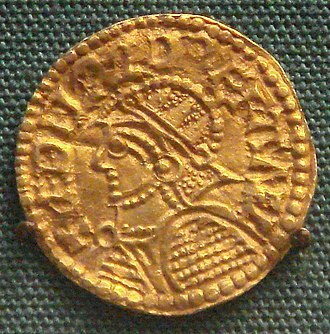 A coin of Edgar, c.973. The remains of the Norman buildings which replaced the earlier ones at Shaftesbury Abbey. Saint Benedict writing the rules. Painting (1926) by Hermann Nigg (1849–1928). A Victorian representation of Edgar being rowed on the River Dee.